Mineral Bottle #47. Red and Brown. 1000 ML. Quartz. You can recharge your crystal's energy by setting it in the light of the full moon. I don't know if this really works, but figure it can't hurt. 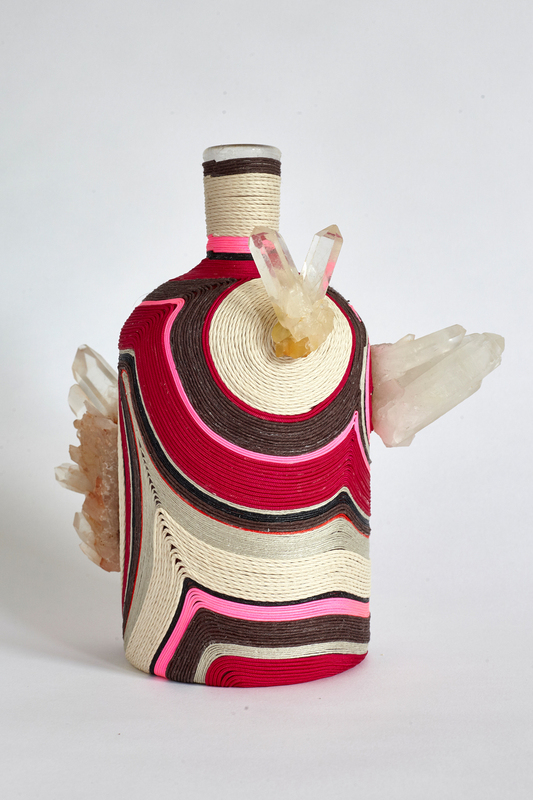 This bottle is made with quartz. Quartz is awesome. It's the super crystal, good for power and energy. Measures 9 inches in diameter, 10 inches in height.